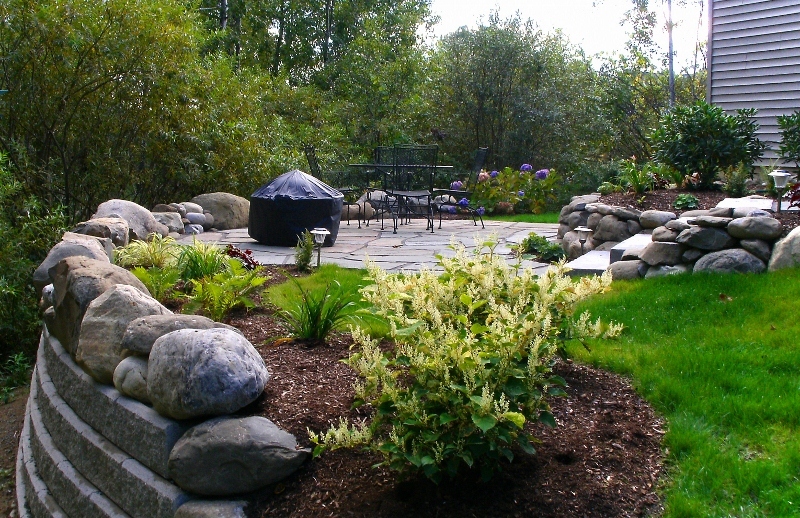 Backyard Redesign Project | Faddegon's Nursery, Inc. This was an interesting project that gave us a chance to do something a little out of the ordinary. 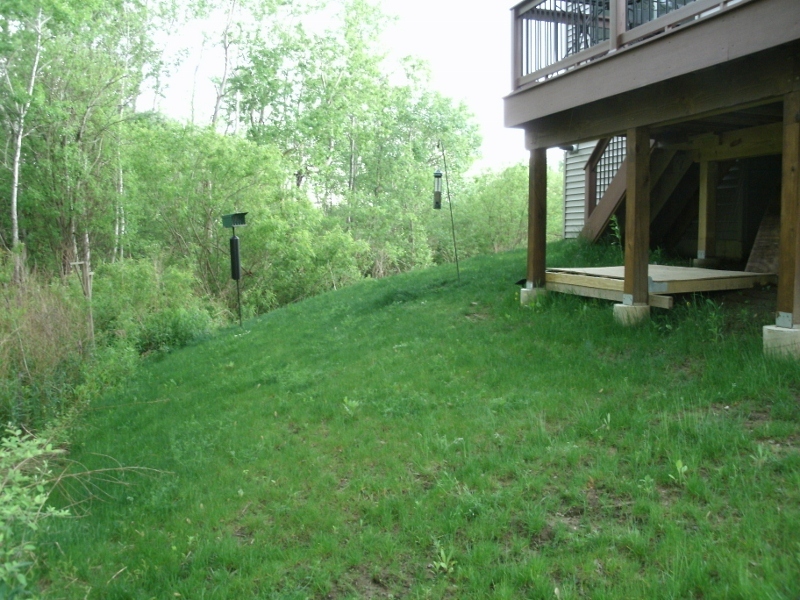 The customers backyard was virtually unusable due to the steep slope directly off the back of the existing deck. 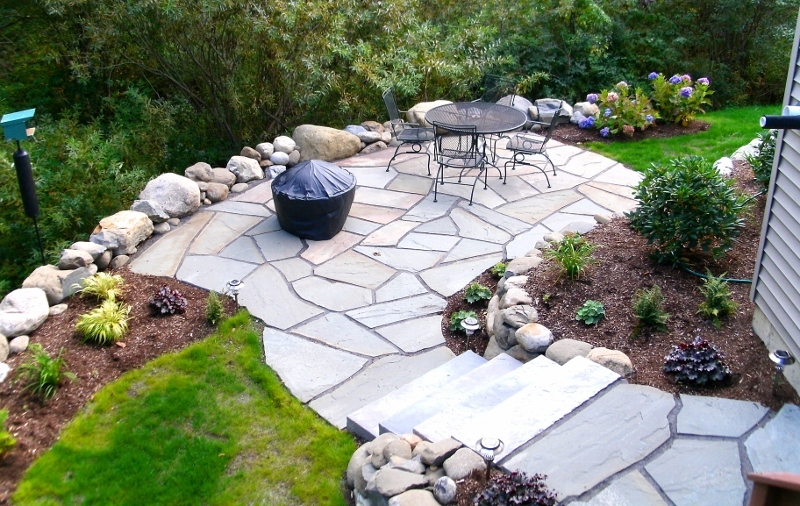 However it was a very nice setting, with forever wild behind the house, and the customer wanted a small patio area that would blend in with this setting. Because of the height of the wall required to create a level area for the patio, we wanted to use a segmental retaining wall, which can provide more reinforcement in a smaller footprint than a natural stone wall. 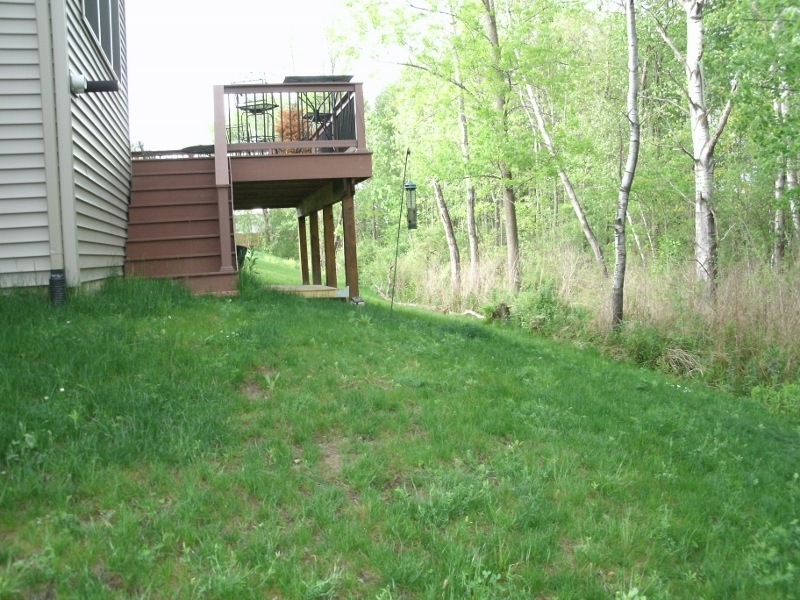 However this did not fit in with the homeowners vision of a natural seating area. So what we ended up doing was to build the retaining part of the wall out of segmental block, and then top it with a layer of natural stone. 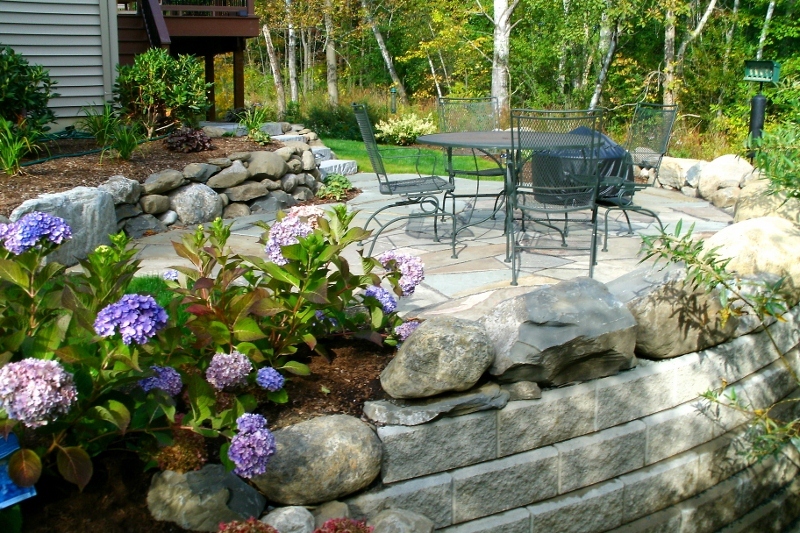 The block part of the wall is almost completely concealed by the stone above, and can only be seen from the woods. 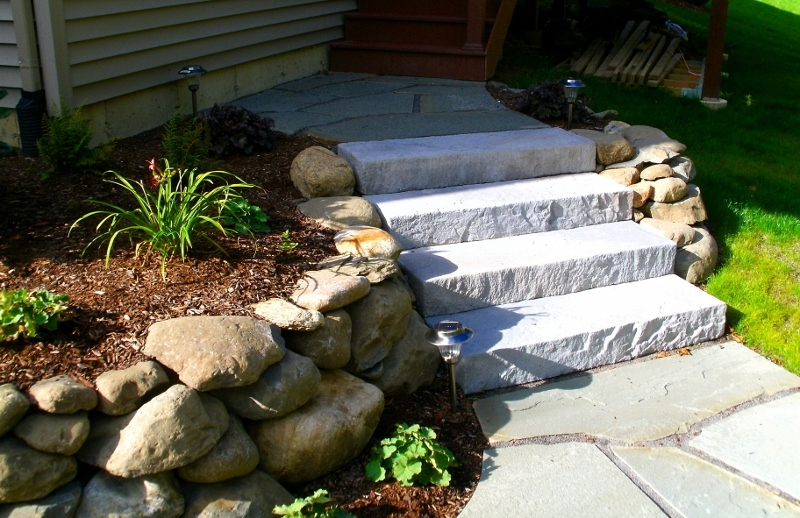 Then the smaller walls near the house were also built out of natural stone to carry the look throughout the area. 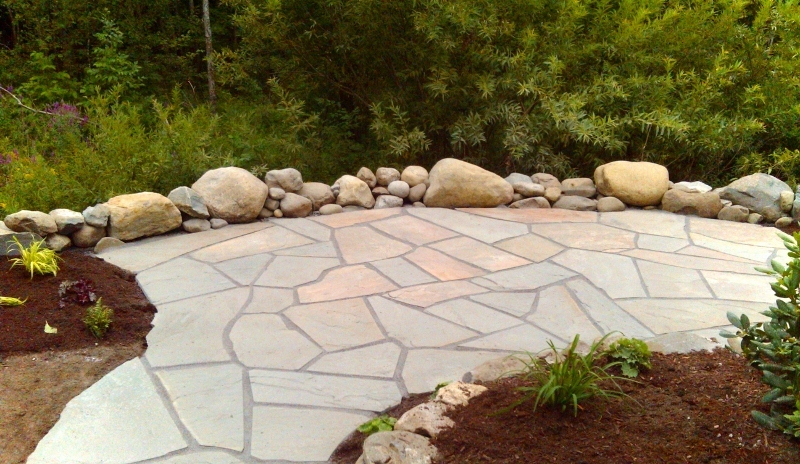 A flagstone patio, concrete steps that resemble a cut stone, and some shrubs and perennials rounded out the project. The installation team did a great job carrying out the design, and the homeowners were very happy with the final result.